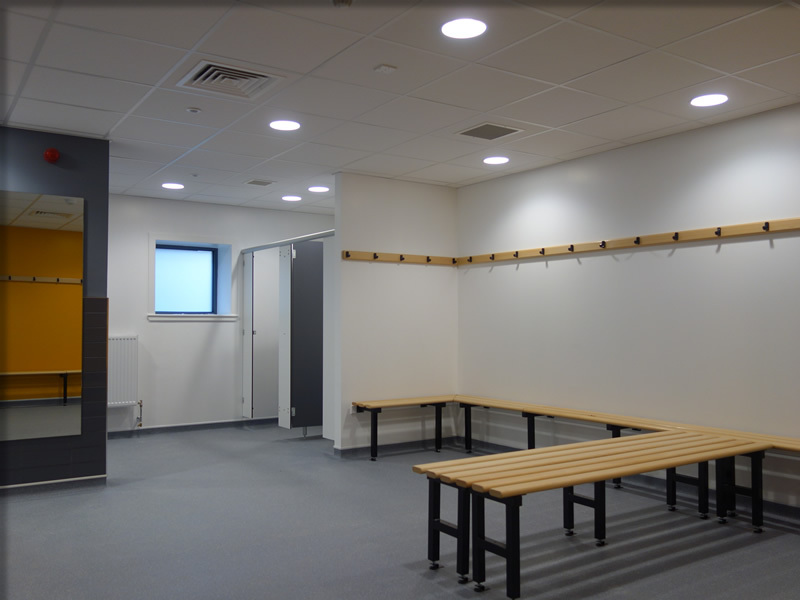 Working with Building and Surveying Services (BSS), Scotwood Interiors upgraded the gym facilities at Glasgow Clyde College’s Cardonald Campus. 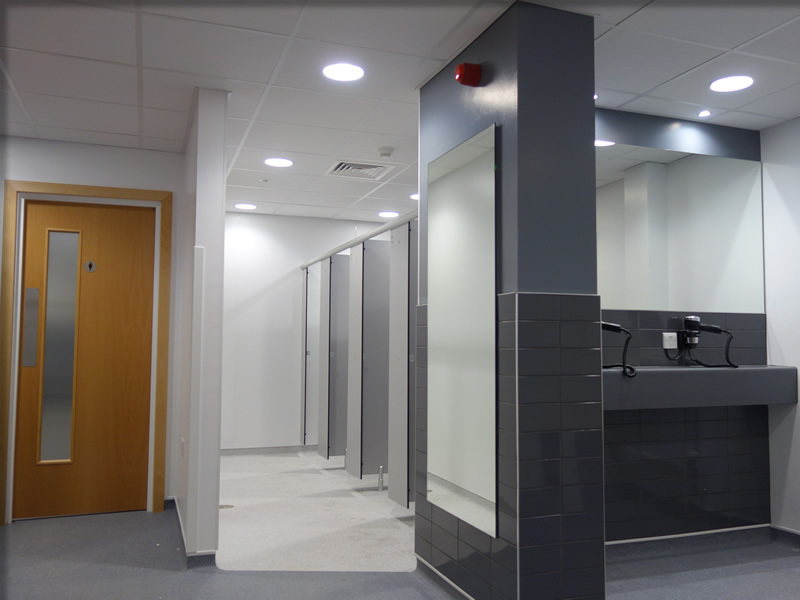 Stripping out the existing changing, shower and toilets areas, we created new student and staff male and female changing, shower and toilet areas. 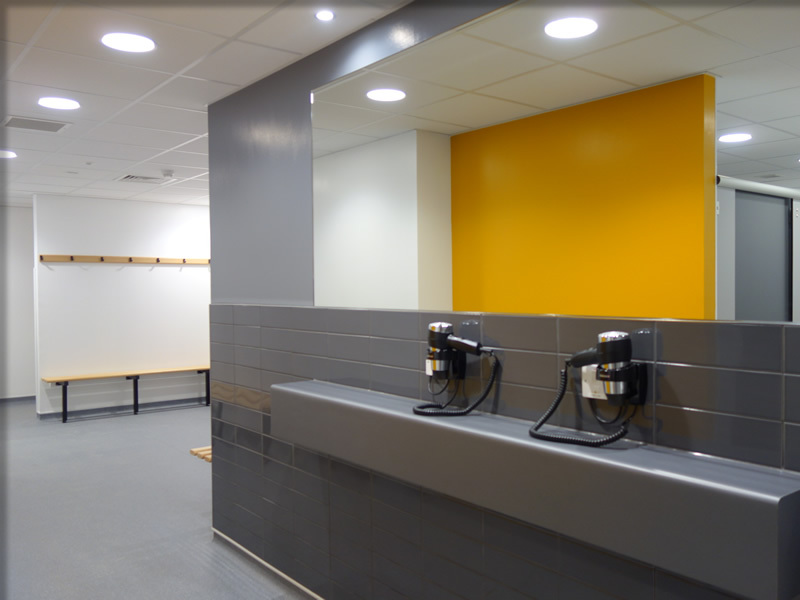 The new facilities involved a complete re-design and refurbishment within the existing building to allow greater accessibility for all students, particularly for those with additional support needs. 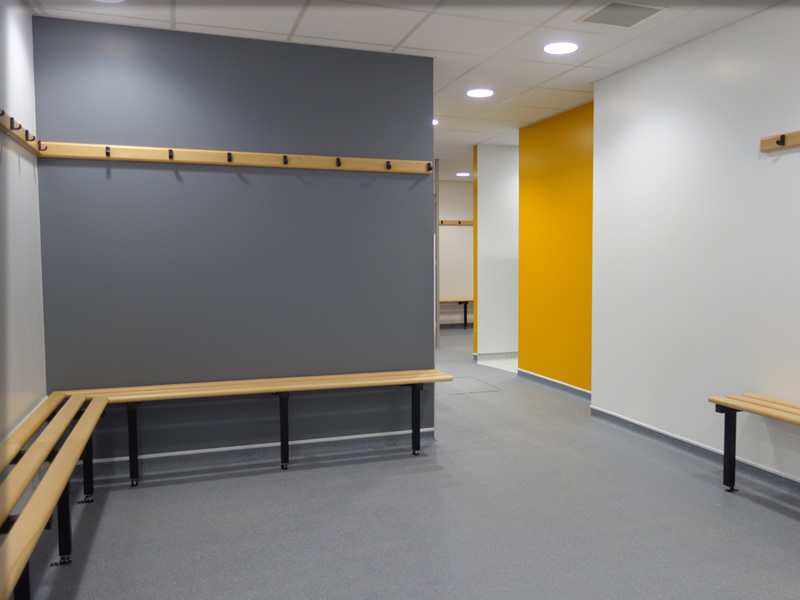 By creating a more modern environment, students and staff now benefit from open plan facilities, increased space in the changing areas, wider and brighter corridors and improved Wi-Fi. 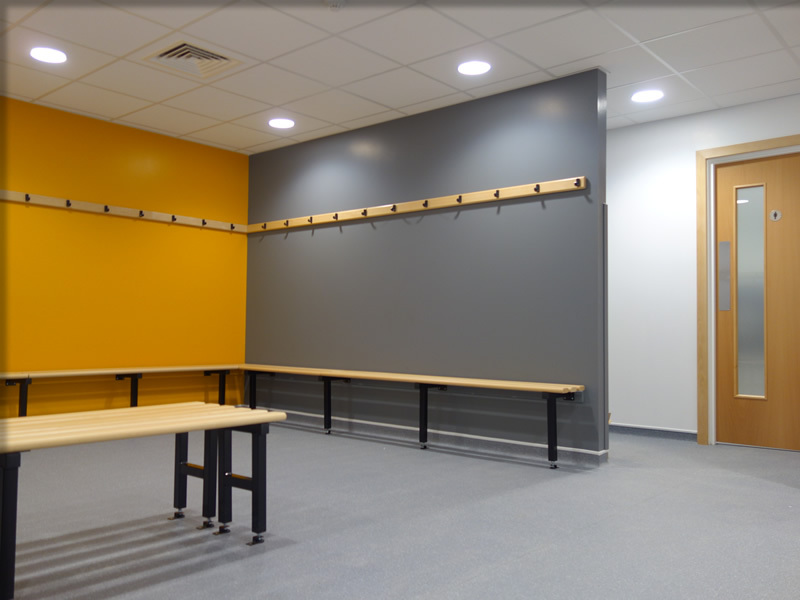 The project benefitted from our all-trade capability including: building, drainage, floor screed, vinyl flooring, M & E, decoration, joinery, lockers and benching. 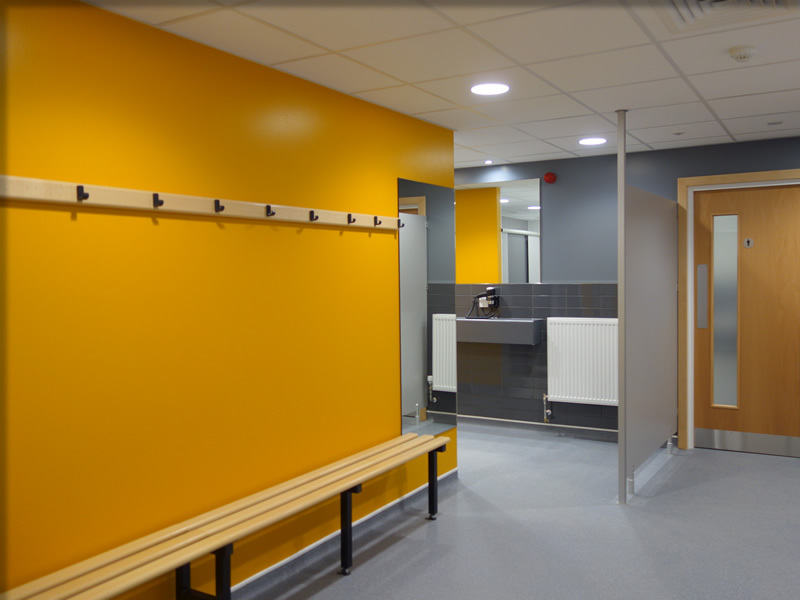 The work was the latest project carried out by Scotwood for the College following various refurbishment work over its three campuses which also include Anniesland and Langside.